Congratulations Ken! I will be emailing you in just a few minutes. Just reply to that email within 48 hours confirming the email you would like to use and I will send your info to the publisher who will be sending you a copy of the e-book The Apocalypse if Hagren Roose. A small boy sits in a living room, awash in the low-tech fidelity of late 1960′s television. The CBS Special Presentation intro plays as his five-year-old eyes soak up what will become in his world, and many others, one of many Christmas season classics. Warm pajamas and blinking lights upon the tree don’t prevent the night from ending, but rather allow all the senses to coalesce into the makings of a wistful childhood memory. There is no one particular Christmas memory I cling to. Frankly, I’m not a huge holiday person—I don’t even decorate, for any of the holidays. Not one. But I do retain the many essences of seasons past. See, I don’t live in a place where a child can recollect Currier and Ives type holidays. Snow doesn’t fall Three Feet From Hell. No need for horse-drawn sleds or warm woolen mittens, scarves, or snow boots. The weather can turn cold, yes, but not like northern and eastern winters do. My brother and I grew up being told the same legend of how Santa gets into the house and puts presents under the tree; as we all know, he comes down the chimney. Well, we didn’t have one, but we did have a faux, cardboard hearth. It was set up each year, close to the silver tree (yes, I said silver). I’m not sure what it was made of, but I remember it was shiny, and I recall at some point being able to help assemble it. We always got to help decorate it, although I’d bet that like most children we’d place a few ornaments on the tree then lose interest. There was a cotton-poly thing we’d place under the tree to represent snow. When you live in a desert the holidays become more about symbols than actualities where matters of nature are concerned. And sitting underneath the tree was a small lamp with a multi-colored screen which slowly rotated in front of the light, casting shades of red, green, yellow, and diffused light upon the tree. These trappings, albeit egregiously man-made, were the essence of what Christmas portended. With all the decorations, lights blinking (those big-fat ones—remember those? ), tinsel gently moving and shimmering with the air current, and the television event for the evening—Rudolph the Red-Nosed Reindeer, Frosty the Snowman, or maybe Santa Clause is Coming to Town—about to stun us with it’s state-of-the-art stop motion animation . . . how could a child not remember such things? I submit to you that the simple reason why we retain not just these memories but their nuances is . . . magic. Especially as children, we’re fascinated by the illusion and sleight-of-hand which life and holidays bring us. There is no shortage of magic in the innocence of youth. We take these moments and build upon them, hopeful that someday far in the future we can instill higher definition memories and warm thoughts which our children will call to mind every so often. As children we latch onto the mystery of it all; as adults, we need the magic. J.W. 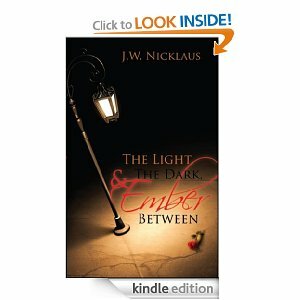 Nicklaus attests to living somewhere between the city closest to the Sun and upon the precipice of Hell—but the winters are mild in Arizona. An avid reader and peerless amateur philosopher, he is “DNA and energy. I am cellular and soulful. I am shadow and light. I am carbon and water . . . and I am stardust. As are we all.” His singular ambition is simple: to leave the world a slightly better place than when he came into it. J.W. 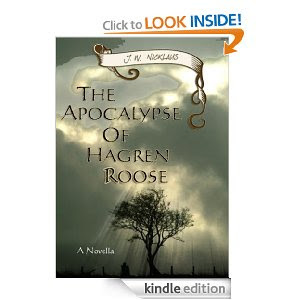 latest book is the fiction drama novella, The Apocalypse of Hagren Roose. Once a small-town success and happy family man, Hagren Roose finds his slide backwards at once abrupt and wrenching. His small-town mentality sets him on a journey of his own making, of which he has no control—and only he can atone for. We live, we learn and we grow as individuals throughout our lives. Leaving the world a little better with our presence. That is what I've taken from J.W. Nicklaus. Thank you so much for sharing. Miki, thank you for hosting me today. I hope your readers enjoy the post! I wish both of you, and all your readers, a warm, healthy, happy holiday season. You are so right! We all need a little magic! Ah...childhood memories. I was born in 1960 and we loved Santa and magic and still do!! What a great book. A truly great read! I love a good book to read during Christmas! Thanks! I learned the author's first job was at a Wendy's..My first job was Wendy's too! The author's first job was at a Wendy's in Tucson, AZ.